Our extensive custom manufacturing capabilities and our expertise with materials and adhesives allows us to provide proper solutions to your unique requirements. 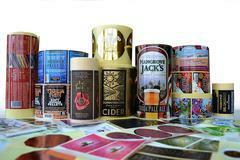 We’re here to help you choose a label construction best suited to the demands of your application, and we’ll work with you through the design process, providing material samples and design proofs as required. We can provide inkjet, laser, direct thermal and thermal transfer grades from 3 Mil to 12 Mil to support your unique applications. Our variable image, full color process printing, hot foil stamping and consecutive numbering capabilities also support solutions for your customer's applications. “Prime labels” is an industry term for any label that is placed on a product to provide identification, information and branding. If you need help developing a new tag or label solution, you can rely on Printing Technologies to support your need with high quality products, competitive prices, and superior service. What's the difference between direct thermal and thermal transfer? A Thermal printer (or Direct Thermal printer) produces a printed image by selectively heating coated thermochromic paper, or thermal paper as it is commonly known, when the paper passes over the thermal print head. The coating turns black in the areas where it is heated, producing an image. Two-color direct thermal printers are capable of printing both black and an additional color (often red), by applying heat at two different temperatures. Thermal printers print faster and more quietly than dot matrix printers. They are also more economical since their only consumable is the paper itself. Printers can be rapidly refilled, leading to almost zero downtime. 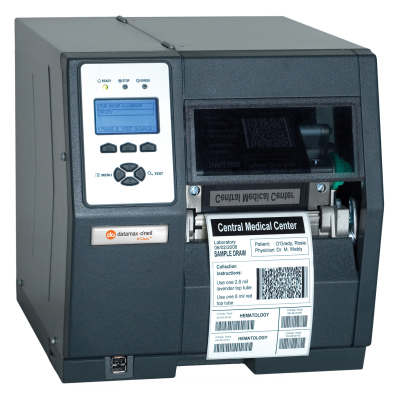 Thermal transfer printers can accept a wider variety of media than direct thermal models, including paper, polyester, and polypropylene materials. Thermal transfer printers can create extremely durable wristbands, asset tags, and certification labels, in addition to common labels, tags, and tickets. Users can create archival-quality labels to withstand temperature extremes, ultraviolet exposure, chemicals, sterilization, and more. Synthetic papers from leading manufacturers such as Dupont, Valeron, Avery Dennison and others give you access to vertical markets in health care, retail, manufacturing, and transportation logistics. Let us help you find the product best suited for your customer.